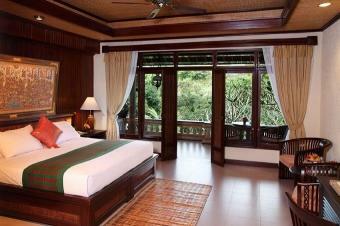 This hotel offers excellent accommodation in a great location. 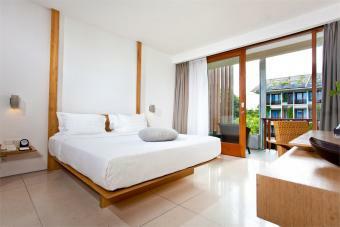 Situated just off Jalan Legian and very central to Kuta's shopping, restaurants and nightlife. 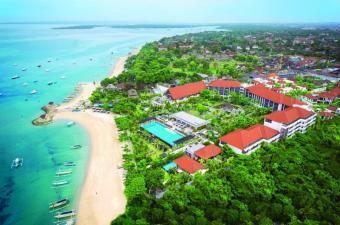 It is approximately 20 minutes from the airport, 5 minutes walk to the Legian shops and 15 minutes to Bali's famous Kuta beach. 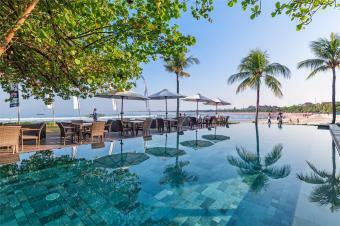 Set on one of the beaches of Tanjung Benoa, the resort's spacious rooms are decorated in a Balinese contemporary style and feature modern amenities. 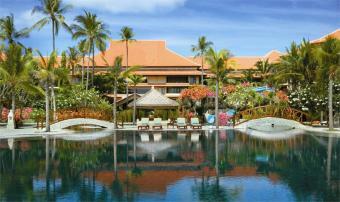 The restaurants serve Western, Asian, Italian and Balinese cuisine and the impressive lagoon pool boasts a swim-up bar. The Biwana Spa is a pure indulgence. Bonus: FREE guaranteed upgrade from Deluxe Room to Deluxe Garden Room at time of booking, FREE Late check out until 3pm, Two FREE Spa 60 minutes per person x 2, Two FREE Spritz Cocktail per adult x 2, One FREE Set Menu Lunch per person x 2, PLUS receive 15% discount on food at hotel outlet stores, 20% discount on laundry, 25% discount on SPA treatments at THE SPA. 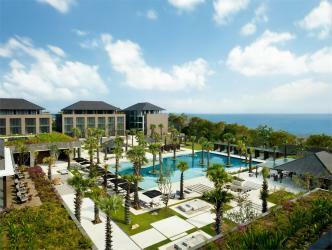 Stylish rooms, a massive pool area and a funky modern design. Iconic architectural design meets eclectic sophistication at Legian Bali, a haven of elegance and style with dazzling vertical gardens, oversized pool and entertainment deck, spa, three innovative restaurants and luxuriously appointed guest rooms. 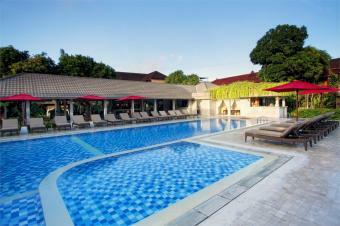 The hotel is located at the southern tip of Legian and across from Legian beach. 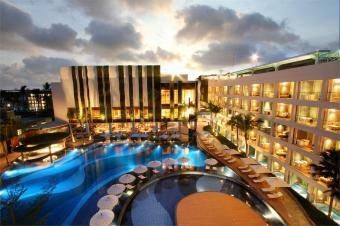 A short stroll to all the vibrant activity of Kuta, and perfectly located for shopping excursions. NOTE: Discounts are already included in the advertised price and no further discount applies. 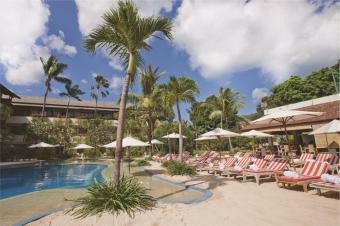 Hotel Indigo Bali Seminyak Beach is located in the heart of the island's colourful Seminyak district, one of Bali's popular beachfronts, famous for its spectacular waves, breathtaking sunsets and vibrant nightlife. Boasting 270 rooms and suites, 19 pool villas and eight distinctive lifestyle outlet experiences, the resort offers an intriguing blend of traditional and modern architecture which forms the eclectic characteristics of Seminyak. Bonus: FREE 2-course Set Dinner at Makase for 2 people, FREE 60 Minute Receive a Traditional Balinese Massage at Save Spa for 2 people, 15% discount on food & beverage (excludes alcoholic beverages), a 20% discount on Sava Spa treatments, FREE use of resort's bicycle, FREE shuttle to Seminyak Square on resort's schedule. 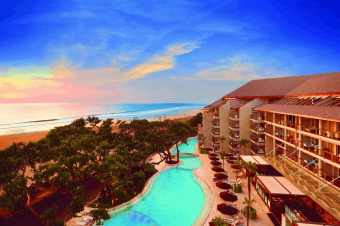 Introducing a new standard of luxurious accommodation. Offering 5-star facilities and services such as 24-hours butler for all suite category and the Owner's Lounge for late flight travellers. The resort's overlooks the iconic Double-Six beach, allow guests to gaze upon awe-inspiring views of the beach either from your richly appointed suite, from one of the dynamic dining venues or from private sundeck at the 120m swimming pool. Inclusions: A la Carte Breakfast Daily. 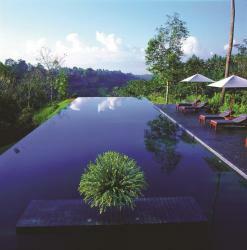 Just minutes from Ubud, this tranquil and secluded hillside retreat sits high on the edge of the Ayung River. 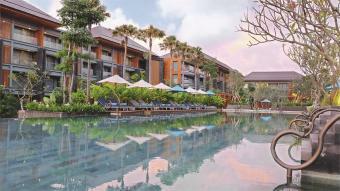 The resorts 56 rooms and villas are houses in 14 two-storey blocks designed to resemble a Balinese Village. 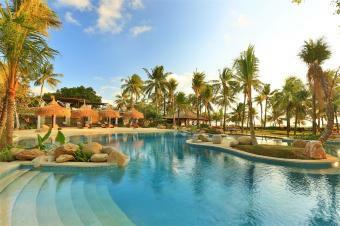 Blending contemporary design and traditional Balinese architecture. Inclusions: Breakfast daily. 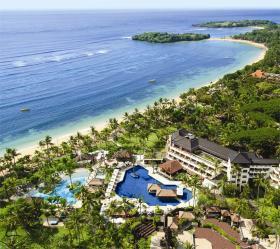 FREE Inter-hotel transfers between Alila Resorts.